Searching for news games? Destiny Rare Emblem, The Witcher 3: Wild Hunt success and sequels and more games @ SheepArcade.com! Ubisoft reflection and Ubisoft came up with something different at the end. A fully adventurous game for adventure lovers. Read to know more. Halo 5: Are you ready to be the Guardian? One of the best game series of Microsoft studio is Halo series. This series is again coming with the new edition called Halo 5: Guardians. The publishers didn't say anything about the release date but it will be on 2015 for sure. So, are you ready to be the guardians? 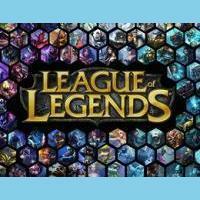 The U.S. government admitted globally popular MOBA game League of Legends as a form of professional sports and the athletes LoL now be able to get work visas in the United States dealing exclusively play this game. If you are a Grand Theft Auto lover and player then this is a big news for you. The next extension has already been announced and it is not coming for Xbox 360 & PS3. What will this extension offer? Read to know NOW!